Please register as soon as you can. Space is limited for Wilderness Camps! 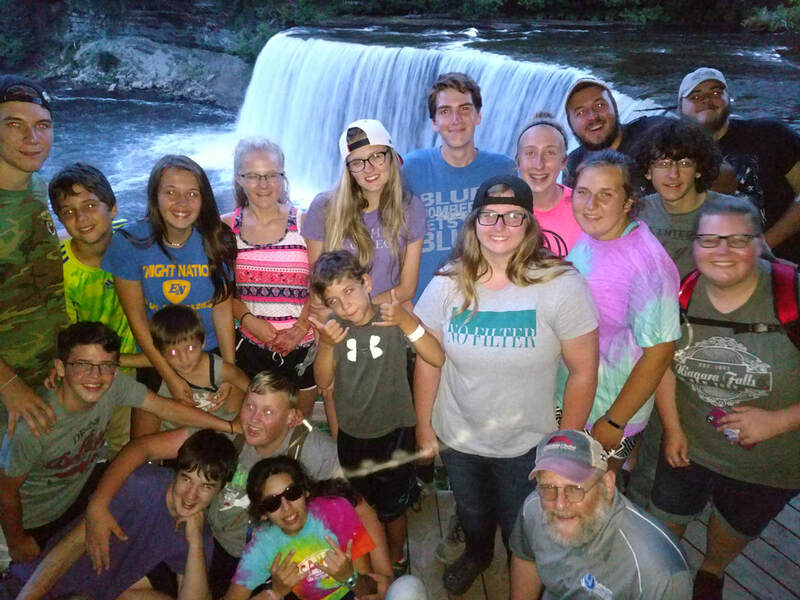 New for 2019, seperate boys and girls Pre-Teen Wilderness Camps! If you like a smaller group setting, try Wilderness camp. Our Wilderness Huts are where you will sleep and you may experience canoeing, hiking, boating, fishing and horseback riding. Learn basic camping skills (no electricity or flush toilets) as you learn about God and His creation. Enrollment is limited to 24 and fills up quickly! Check-In at 4:30pm in the Chapel. Check-Out at 6pm in Memorial Hall. ​Register by May 1st and get a free t-shirt! 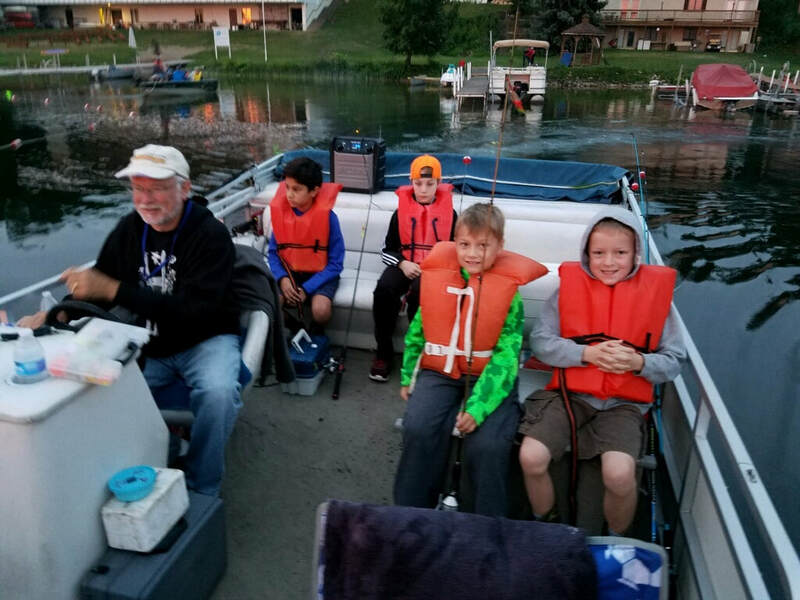 Campers will get to learn about different aspects of fishing, fish from land and boat, and have a lot of fun all while learning about God's creation. If boys have their own fishing pole and tackle box they are welcome to bring it with them. If they do not have their own or you wish not to bring it to camp we will have supplies for them. All bait and supplies are included in registration cost. This camp is geared for all levels of fishing. Check-In at 4:30 in the Chapel. Check-Out at 6pm in Memorial Hall. Register by May 1st and get a free t-shirt! Enrollment is limited to 20. Register early! If you like a smaller group setting, try Wilderness camp. Our Wilderness Huts are where you will sleep and you may experience canoeing, hiking, boating, fishing and horseback riding. Learn basic camping skills (no electricity or flush toilets) as you learn about God and His creation. Enrollment is limited to 24 campers. Check-in at 4:30pm, check-out at 6pm. Check-In in the Chapel. ​Register by My 1st and get a free t-shirt! New for 2019! Girls will learn basic care and maintenance skills of having a horse. There will be riding opportunities as well as Godly instruction in God's creation. Horses will be provided by the camp. Watch for more information on this new camp as details get ironed out! Check-In at 4:30pm in the Chapel. Enrollment is limited to 15 campers! Register by May 1st and get a free t-shirt! ​This camp is for the adventurous. You will travel to another location, Riverbend Men's Camp on Rifle River in Sterling, MI. While in the area you will experience God in His creation, be a servant and help with service projects, and have TONS of fun! Check-In at 8am in the Chapel. Check-Out at 6pm in the Chapel. The check-out time is tentative and will be communicated by phone if early/late. Enrollment is limited to 18 campers. Register early! Register by May 1st and get a free t-shirt! New for 2019! High school boys will learn basic survival skills while learning to put God's Word into practice. This is a primitive camp with primitive facilities. Fathers of campers will be able to register and attend as well. Please call the camp office for information. Cost is the same for campers and father campers. A background check is required. 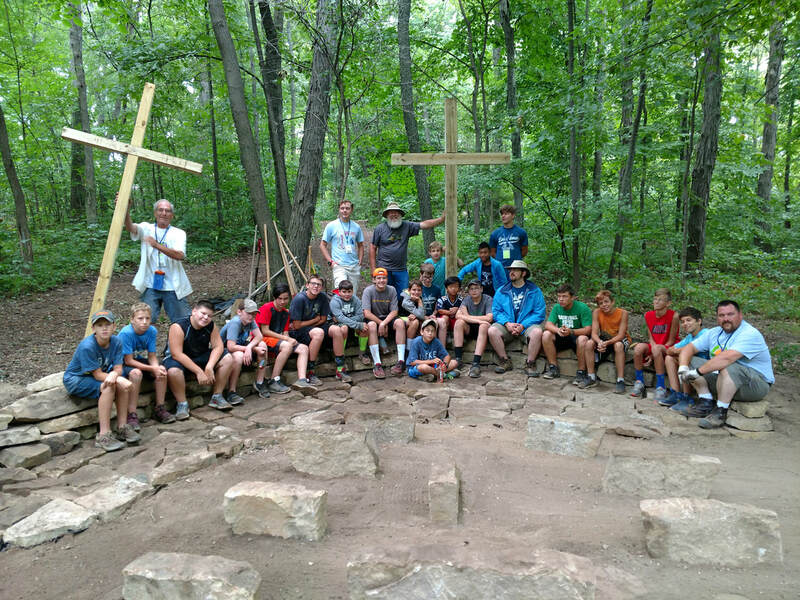 Boys Survival camp will be off-site, see below. Check-In on MONDAY at 7am in the Chapel. Check-Out at 6pm in the Chapel. Enrollment is limited to 12. Register early! Register by May 1st and get a free t-shirt! 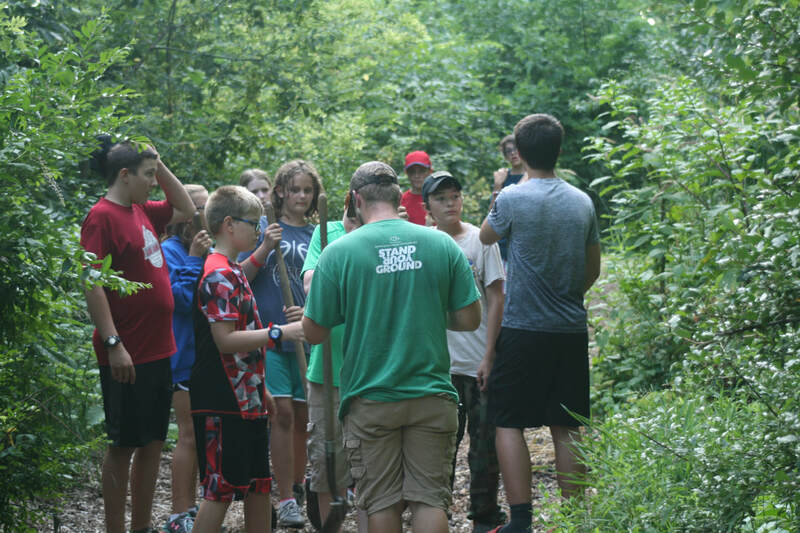 Please remember that Biblical instruction is of the utmost importance for sports camps and for wilderness camps. Please encourage your youth to attend these camps as well as the traditional camps. We strive to have not only the best qualified sports and wilderness instructors but the best qualified Christian role models and Bible teachers as well.